Knowing Your Risks Requires the Right View. 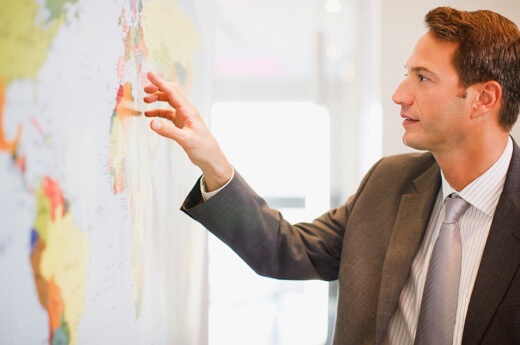 conduct risk solutions that are future-proof. Numbers don't lie. With a growing customer base and 12+ years of experience building and perfecting our compliance software, the numbers tell a story of promises delivered. Learn how MCO helps global, highly regulated organizations build long-term compliance solutions. We understand that making a change, means taking a risk. Whether moving from a manual process or replacing a system, your concerns are ours. We know the stakes and strive to define the right journey for every company, no matter the size. MyComplianceOffice is a fully integrated platform that provides transparency into an employee’s conduct risk profile. 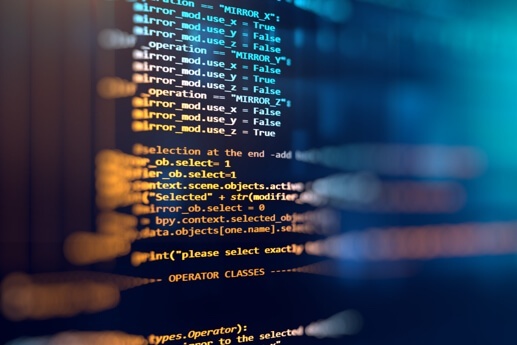 Using the same underlying master data sets, it provides an unprecedented level of risk control. No two companies have the same regulatory requirements, but all require technology that works to their specification. MyComplianceOffice modular approach means purchase what is needed today and know that tomorrow's need can be easily added. SaaS technology is less costly to buy and install. MCO's platform with central data center for all compliance modules means a cost-efficient and proactive approach to managing regulated activities. User adoption is important. A simple, modern user interface combined with minimal clicks makes it very easy for employees to use. System administrators can quickly customize documents without IT involvement. With clients in over 80 countries, MCO offers more extensive global support capability than the competition, with 24 x 7 tech support and 20 x 5 customer support. Automate monitoring and approval of employee compliance activities with an intuitive interface enabling fulfillment of compliance obligations with minimal effort. The issue of conduct risk is especially sensitive when it originates within the core financial transactions of a firm. KYT helps firms mitigate risk that can originate from breaches in market manipulation, insider trading, suitability, conflicts of interest, fund mandate and investment banking activities. Manage and monitor the risks associated with third parties. Simplified approach with streamlined technology improves internal processes while meeting increased regulatory and audit scrutiny. "Under pressure to reduce spending but needing regulatory rigor, I was stumped. The MyComplianceOffice platform helped me reduce operation costs and improve risk reduction." MCO has a deep bench of technologists and an extensive network of compliance experts who regularly provide best practices and latest trends in regulatory compliance. 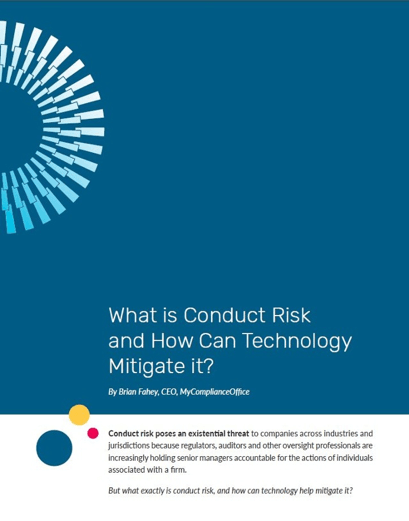 This month, MCO CEO, Brian Fahey, presents a whitepaper to better explain conduct risk and technology's impact on this challenge. Need more information or are you ready to take the next step?